Discussion in 'Google TV General Discussion' started by Rickaren, Jan 6, 2011. 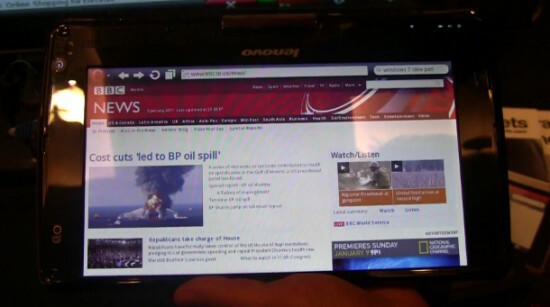 Weve caught up with Opera to get our own up-close and personal look at the newly-teased Opera for Tablets. The teaser video posted the other day left a lot to be desired  essentially, it was just a bigger version of Opera Mobile, but with a slightly different user interface. Weve learned more though: what sets Opera for Tablets apart from Opera Mobile is that itll come with Adobe Flash support from jump street. Thats pretty cool as its the one feature everyone is missing from Opera Mobile. Theyve confirmed that the Mobile product will be getting flash support, but they werent keen on saying when. That wasnt the most interesting thing at the table, though: Operas creating a version of their browser for televisions. Theyve sent their products to all of the worlds popular OEMs for inclusion consideration with all of the internet connected TVs that have been announced today. Naturally, I asked if Google TV would be getting the app  not right now, they said. But he left room for future endeavors in that regard, so our fingers are crossed.